On Friday, Feb. 27 at 7 p.m., the McGill Symphony Orchestra returns to Montreal’s Maison symphonique with its performance of Olivier Messiaen’s Turangalîla-Symphonie, a monumental 20th century work. 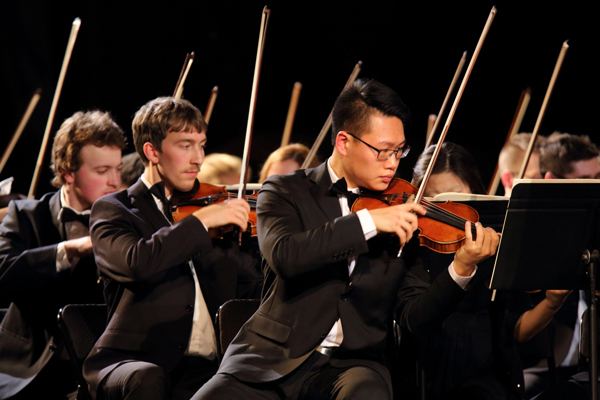 The McGill Symphony Orchestra returns to Montreal’s Maison symphonique on Friday, Feb. 27 at 7 p.m. The Schulich School of Music, in collaboration with the Montréal New Music Festival and SMCQ, is proud to present Olivier Messiaen’s Turangalîla-Symphonie, a monumental 20th century work. Featured soloists include Kyoko Hashimoto, piano, and Estelle Lemire, ondes Martenot, the first electronic instrument ever used in a concert. The ondes Martenot is an early electronic instrument known for its otherworldly sound, making Messiaen’s masterpiece truly unique. Get more information regarding ticket pricing. Pre-concert activities will take place at 6:15 p.m. at Maison symphonique.